How is a health insurance deductible calculated? Home / FAQ / How is a health insurance deductible calculated? A health insurance deductible is calculated and established by the insurance company as they weigh the risk of the insurance policy. The insurance company determines the amount of the premium, co-payments if any, and the deductible that the insured must meet before the company begins paying any additional benefits. Compare online health insurance rates by entering your zip code into the free toolbox now! A deductible is the dollar amount you can be expected to pay before your insurance company starts paying for medical expenses. The underwriters of the insurance company work to determine the amount. What amounts go towards a deductible? However, you should review your policy, because many insurance companies outline exceptions to the deductibles that do not count. For example, co-payments, co-insurance amounts, or monthly premiums do not go against your deductible. Out-of-network expenses do not count as permitted expenses that go towards your deductible either. Preventive care does not go against a deductible, because most insurance policies pay 100% of the cost of the preventive care. What kinds of deductibles are offered by health insurance companies? Deductibles vary per policy and insurance company. 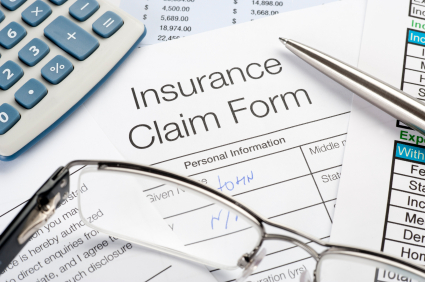 Often, after a deductible is met, the insurance company will then split the amount they will pay out. For example, after a deductible is met, the insurance company could take responsibility for 80% of the costs while the insured is responsible for 20% of the costs. You may be able to find a plan that pays 100% of costs after deductibles are met. this didn’t f****** tell me how to f******* solve a f****** deductible.